Have another question? Check out our Myths and Truths or e-mail us. How much does a Turning Point home cost? The price of the home is related to the size. Homeowners go through an application process to determine their credit rating and ability to obtain a mortgage. They must have a minimum down payment of $1,000. How many houses do you build a year? That depends entirely on contributions, our fund raising and available manpower. Our goal is 6 homes per year. How do you select homeowners? Homeowners must have a need to live in Edmond. (Examples are: work is in Edmond, caregivers live in Edmond, physical or mentally challenged family members are receiving services in Edmond.) Homeowners must have legal immigration status or be a US citizen. 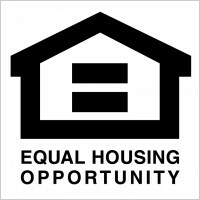 Homeowners must have a willingness to work through our process which includes contributing sweat equity on the construction site or in the community, maintaining a relationship with a Turning Point mentor, attending education classed on home buying and personal finance, and committing to a safe and drug free community. Homeowners must make a down payment and have the ability to make monthly mortgage payments. Homeowners go through an application process and selection is made by a committee. The construction of a home takes approximately 5-6 months. Are the floor plans all the same? We have a few floor plans, ranging from 2 bedroom to 4 bedroom homes, depending on the number of family members. A 3-bedroom house is typically 1,200 square feet. Do homeowners get to choose which house and finishes they get? Turning Point homes are pre-built. What if a homeowner doesn’t want to live in a certain neighborhood? Turning Point is currently building in Heritage Village. Where does Turning Point get the money to build houses? 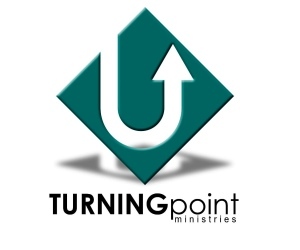 Turning Point relies on donations and grant monies from individuals, churches, businesses and other organizations. Additional revenue comes from our annual fundraiser the Edmond Turkey Trot on Thanksgiving morning. Does Turning Point stay involved with the homeowners once they’ve moved in? Our ministry is one of relationship and we make every effort to maintain contact with our new friends. We encourage our homeowners to become an active part of their neighborhood and community. Our communities have Homeowner Associations by which our residents stay connected with each other and with Turning Point. What if a homeowner can’t pay their mortgage? The homeowner will have a mortgage with a lending institution whose policy will determine the course of action. This page updated 9/18. All information is subject to change without prior notice.